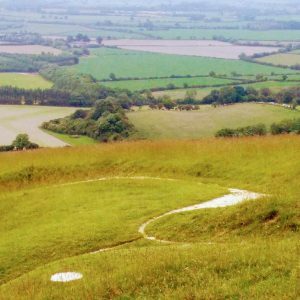 Last weekend I visited the Uffington White Horse area with my daughter. 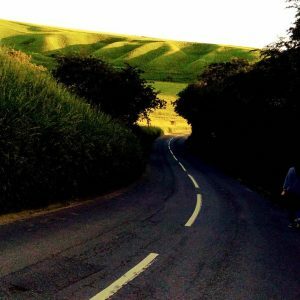 We were so excited to eventually reach our destination (by taxi as there are no buses from Swindon) we immediately walked a mile or so from our b&b and scrambled up the almost vertical escarpment of White Horse Hill. 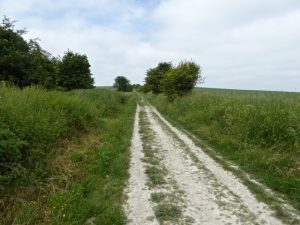 We later discovered there was a much easier route via a carpark. 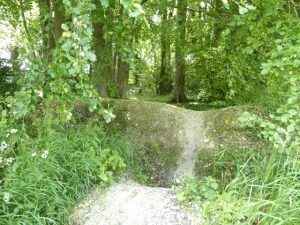 The chalky Horse, at the moment cordoned off by the National Trust because of erosion, is almost impossible to see in its entirety, although apparently you can see it quite clearly from the air. 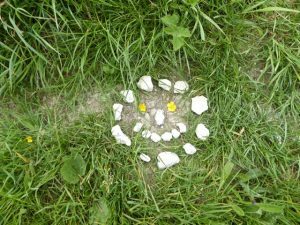 It has been dated to the Iron Age, but mystery still surrounds this ancient figure, as well as much of the surrounding land. The black and white image above is from one made by William Plenderleath in the nineteenth century. 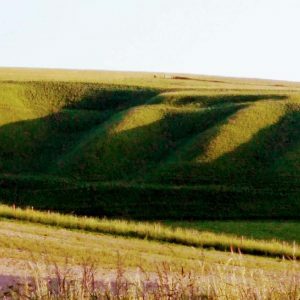 We could see the Horse’s eye and part of the curve of its neck stretching down below us on the flanks of the hill. 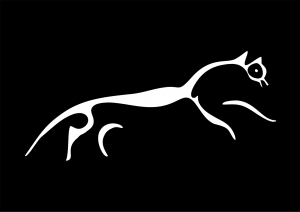 The Horse is ‘scoured’ very year now, its strange and sinuous shape topped up with pounded fragments of chalk, otherwise it would disappear into the landscape. 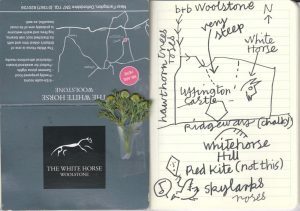 We explored and walked every day, sometimes along the Ridgeway track, staying at the White Horse (0f course) in Woolstone village. 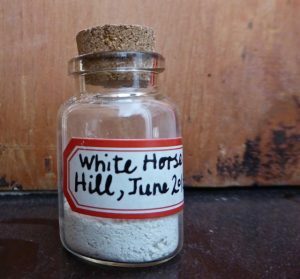 This entry was posted in Sketchbooks, Travels and tagged chalk-cut figures, exploration, Museum of Dust, notebook, Ridgeway, Sally Kindberg's Museum of Dust, Uffington White Horse, walks, White Horse, White Horse b&b, William Plenderleath, Woolstone. Bookmark the permalink.